3M Coban Self-Adherent Non-Sterile Wrap functions like a tape, but sticks only to itself. 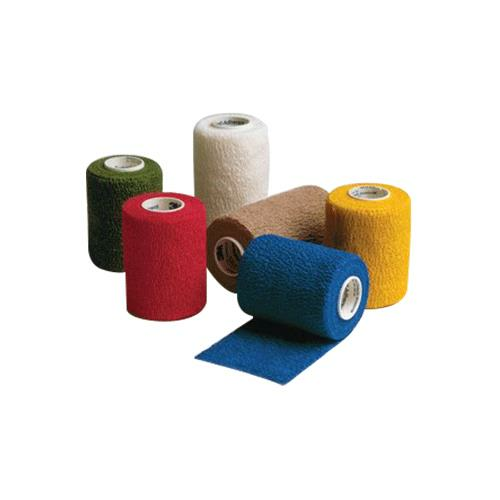 It is a laminate of nonwoven material and elastic fibers placed lengthwise to provide elasticity. The elastic wrap contains a cohesive material that makes it stick to itself but not to other materials or skin. Available in sterile style and in a variety of widths and colors. - Without stretching, apply one full wrap and overlap. Press overlapped area lightly to keep the end in place.